BE DIFFERENT and MAKE a DIFFERENCE! 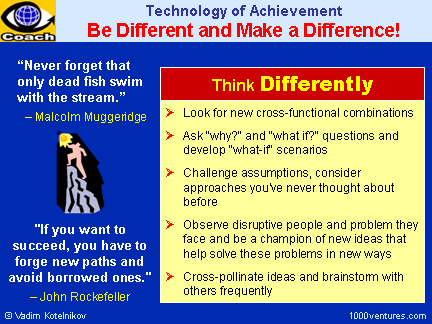 - Technology of achievement and success: Be creative, be different, and make a difference! Be creative, be different, and make a difference!